Summa Health had a $9.6 million operating income for the first half of 2018. Following a multimillion-dollar operating loss in 2017, Summa Health in the first half of this year managed to achieve a $43 million turnaround of its finances and is back in the black. Dr. Cliff Deveny, the system's interim CEO who in the spring signed on for a second year at the helm, credits the turnaround not to one grand move, but to a lot of "blocking and tackling" and work across the system to lower costs and increase access. For example: expanding hours, moving SummaCare to a new headquarters that saves $1.5 million a year, growing clinical capacity and more. "Everybody had to look at things," he said. "Whether it was revenue cycle or supply chain or occupancy rates or do you have enough, too many resources for what we've got." Summa ended the first six months of 2017 with a $33 million operating loss. Deveny took swift action — eliminating about 300 positions, discontinuing services, consolidating units and re-evaluating ongoing capital needs — to right the ship, and by the end of the year, that loss was $28 million, rather than the $60 million projected if the system hadn't made any adjustments. In 2018, the system had a $9.6 million operating income for the first half of the year, which surpassed the $7.4 million that the system had budgeted for that timeframe. In 2016, before the turmoil of last year, Summa posted a $13.5 million operating income for the first half of the year. Deveny said he expects to see the system return to and exceed such numbers in the next year or so. 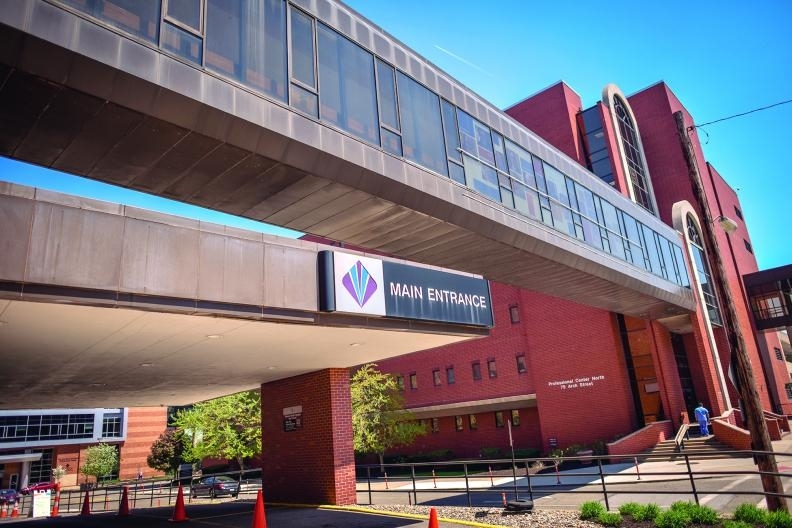 The system's ability to turn around its finances so far this year is a "real positive sign," especially during a time when payers and consumers — the "lifeblood" of hospitals — are facing financial challenges, said Tom Campanella, director of the health care MBA program at Baldwin Wallace University. "So during this time of disruption, for them to have such a turnaround I think again is a testimonial to ... again the overall team that they have over at Summa," he said. Deveny said he doesn't anticipate the system needing to make any further cuts. "Our biggest challenge would be can we continue to grow, and can we meet demand?" he said. Most of the staff cuts last year were on the administrative side. In the past 12 months, Summa has hired almost 1,000 new employees, the vast majority of which are on the clinical side. Some of the new hires are balancing the eliminated positions or responding to attrition, but overall, the system is "actually adding net new clinical positions," Deveny said. The added clinical staff helped to increase access and reduce wait times, as have expanding hours and services. "We implemented the performance improvement plan last year, which was a lot around labor costs and a lot of different things," Deveny said. "For our improvement, probably $2 out of every $3 was because of growth, increased revenue." For the first six months of the year, inpatient admissions increased 0.5%, observation cases increased 4% and surgical cases increased 2%, according to the system's latest financial filings. Emergency visits decreased by 4% and other outpatient visits decreased by 2% compared with the first half of 2017. "Well, there's always been a significant amount of demand," Deveny said. "The story would be here is we had to provide the access points — either create more slots, more providers, more technicians ... So you even have significant hours open on the weekends that weren't there before, things like that." A big change in the leadership approach in the past year or so has also been increased transparency, he said. Every day, the system holds a meeting to look at the number of people in the hospital, who's waiting, at what access points and more. Having visibility around that data, which didn't used to be the case, gives people the ability to act on the information. The system also recently began publishing its internal star ratings and patient reviews of physicians. "I would say what I've seen since I got here is people were thirsty for information," Deveny said. "Health care is full of lots of smart people, but … they didn't have the information, didn't have the tools or the empowerment. And what we're seeing is there's a lot of pride in this organization and people want to do better." This added transparency and the forward momentum of the organization has helped improve morale among staff, said Deveny, who joined the system in March of 2017. He replaced Dr. Thomas Malone, who resigned after strong backlash to a decision to not renew the contract of the independent physician group that had staffed the hospital's emergency departments for decades. Deveny has previous experience at Summa, having spent more than two decades in various clinical and senior leadership roles at the system. Immediately before returning to Summa as its interim leader, he was president of Locus Health, a company in Charlottesville, Va.
Campanella said that a lot of the cultural issues last year can be linked to a need for greater trust. "What needed to be done — and I think they have the right leadership team in place now — is to establish both from an internal standpoint as well as an external standpoint, both trust and credibility both within the organization and outside in the community both as it relates to consumers, prospective patients, but also as it relates to the independent physicians that are within that region. And I think they've done a good job of that," he said. Last fall, Moody's Investors Service downgraded Summa's rating to Baa2 from Baa1, affecting about $350 million of debt, with a negative outlook. Moody's attributed the downgrade to "a confluence of unexpected events that accelerated an earlier trend of volume declines and contributed to a material operating loss through nine months of FY 2017." There hasn't been an update since then, but Deveny said he anticipates the system would be seen "favorably." Summa's construction projects are also on time and on budget, Deveny said, with the new $223 million West Tower at Akron City Hospital slated to be completed next summer. And SummaCare, the system's health insurance company, is gearing up for the next open enrollment season, with some added leeway in its benefit structure, thanks to changes at the federal level. Deveny said he decided to stay on for another year, through next March, because "I need to see this through." Asked whether he'd like to stay beyond March, he said yes. He sees a lot of work and opportunity in the system. If Deveny ultimately doesn't stay, Campanella said it is "really critical" that they get the right type of leader who can again gain the trust of the organization and community. "Because even though they're going in the right direction now, all hospitals are still facing those challenges, and so Summa cannot afford to have another big setback," he said. "Summa Health begins bridging its financial gap" originally appeared in Crain's Cleveland Business.